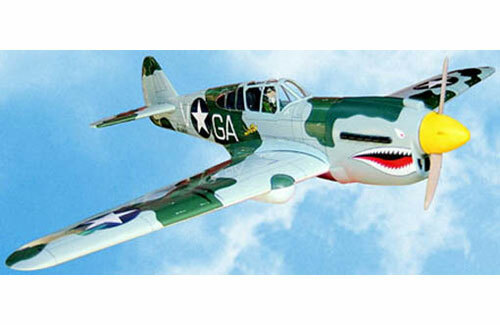 All Products > "A-VQA022C VQ Models P-40 Avg - 60 Size"
This great value .60 size model from V.Q emulates the classic lines of the magnificent full-size P-40 using accurately built balsa and ply components, then hand finished with a detailed and weathered film covering. Step-by-step instructions with illustrations ensure that assembly is both straightforward and enjoyable. 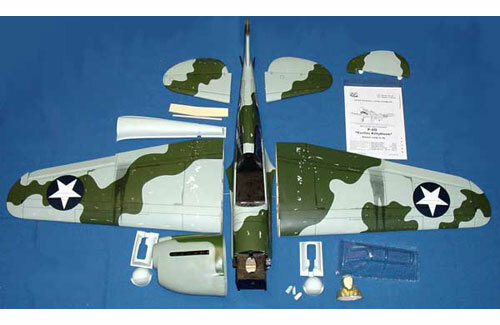 Includes fibreglass cowling, tail gear assembly, wheels, servo trays, engine mount, spinner, fuel tank, decals and a comprehensive hardware pack. Features optional dual split flaps. Radio: 5 - 6 Ch.